Home / Automotive / Cars / How Does The Tesla Model 3 Work Without A Key Or A Fob? Most of the hype around the Tesla Model 3 is about its all-electric powertrain, long driving range and affordability. But, possibly, the biggest innovation is the way you get in and out! The new-tech feature wrapped into the Model 3 makes things a bit more convenient for owners – instead of having a regular key fob like current Tesla vehicles, owners of the Tesla Model 3 will be able to unlock and start their cars simply by having their smartphones on them! Building the vehicle's key into a device seems to make sense since most Model 3 owners aren't likely to go anywhere without their smartphones. The Model 3 uses technology called Bluetooth Low Energy that is built into most smartphones made in recent years. It allows for a low-power, always-on connection between the phone and the car. So, when you walk toward the Model 3 with your phone, the car and the phone talk to each other and authenticate – and the car unlocks the doors. "Smart" keys aren't exactly new, but this one is the only one that doesn't require the driver to carry around a key fob or a credit-card-size card. 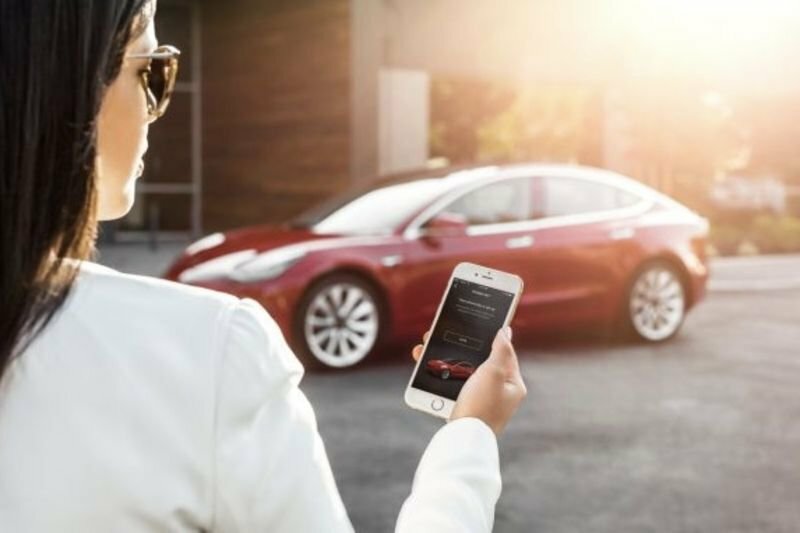 Don't worry, Tesla also has you covered if your phone dies with a backup key (handy for valet parking) that uses technology called field communication of NFC. This is the same technology that allows tap-to-pay iPhone and Android transactions at retailers. If the phone doesn't work for some reason, the card can still be tapped on a spot on the car's B-pillar to unlock the car. In addition, there is a spot on the centre console where they key can be stored, just behind the cupholders, allowing the car to be driven normally. Although Tesla isn't the only company to experiment with a digital key, they are the first company to roll it out as standard on what is intended to be a mass-produced, mass-market car!